As the popularity for tattoos continues to grow, and with the tribal tattoo accounting for nearly a third of all tattoo design searches, we thought it was about time we delved into the origins and meanings of these endlessly sought-after tattoos. 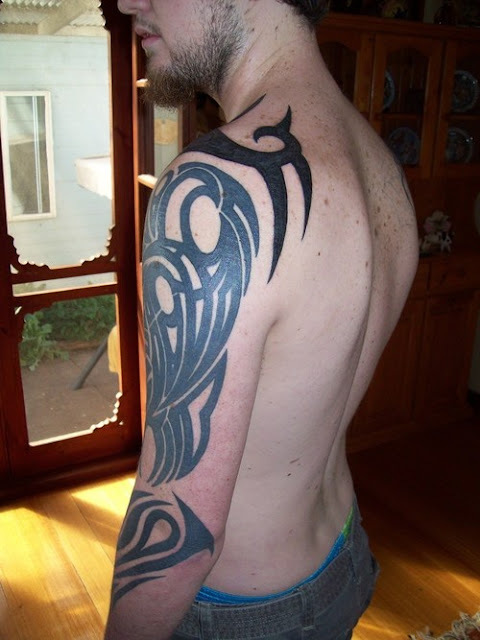 Tribal tattoos cover a huge scope of designs and styles with some hailing from the indigenous and aboriginal cultures of long ago. 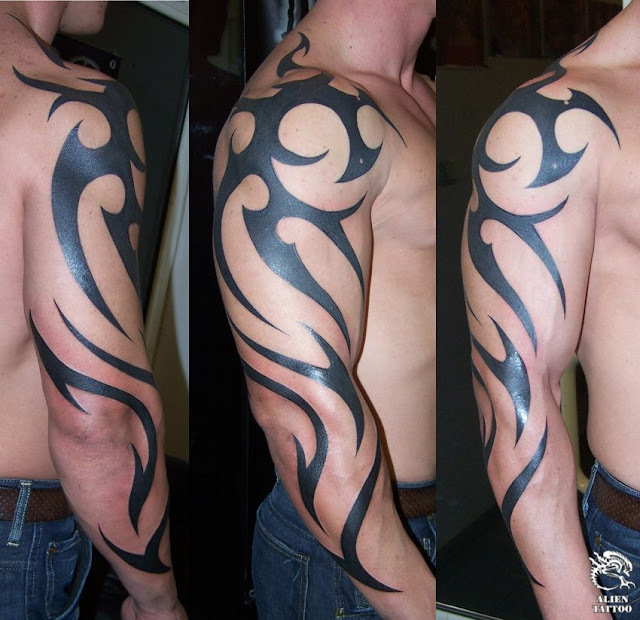 Even now they are still incredibly popular and due to the number of tribal tattoo deals available and their versatility for being featured all over the body, we can’t see any reason why they won’t continue to go from strength to strength. 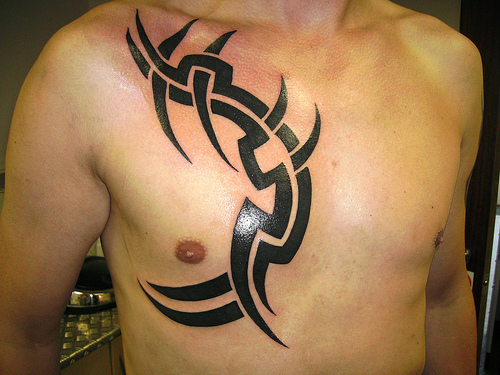 It is thought that the origins of the tribal tattoo probably happened by accident. Imagine a campfire setting, no TV or xBox to amuse the primitives, but a nice big roaring fire in the middle. If lads these days are anything to go by, it’s feasible that some poor bloke could easily have been poked by a charred twig, only to reveal permanent markings on his body days later once his skin had healed. 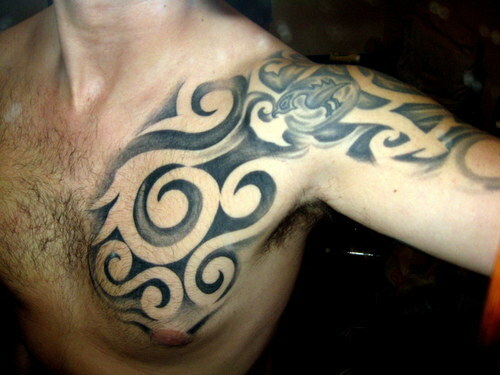 Rumor also has it that the first tattoos honored the sun gods as they were designed to look like the sun or fire flames. 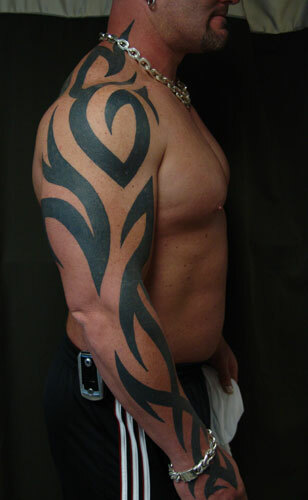 Back in the beginning, the tribal tattoo wasn’t merely about making your body look good. 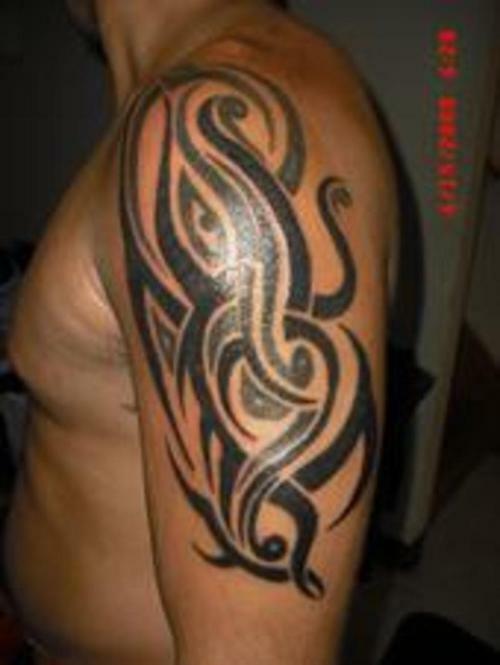 In fact, it is thought that tattoos were more about connecting to the spiritual because the person having the tribal tattoo had to go through pain, permanence and loss of blood (the life source) in order to have one. 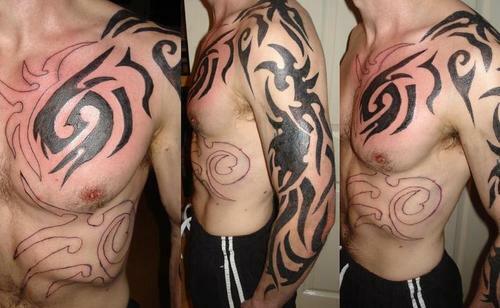 This gave tattoos a status of ritual, and like other ceremonies opened up the possibility of connecting with a God through the experience. 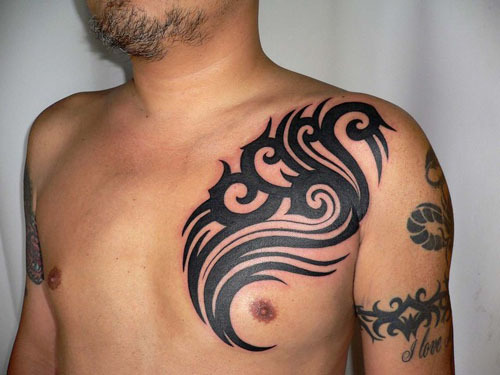 In these early days of tattooing, it was thought that body and soul were identical to each other and so making this connection on your physical self meant your tribal tattoo also existed on your soul. For instance, tribes in Borneo believed that their tattoos opened up a doorway to the realm of the spirit world and once they died and passed on to the next level, their tattoos would set them apart from people without tattoos and give them special privileges. Much research has been carried out on the existence of tattoos in tribal communities and it has been noted that almost all primitive tribes practiced marking their bodies – be that by tattooing, using temporary body paints, or scarifications. These days, like in those primitive times long ago, tribal tattoos are still used by some as a symbol that you belong to a specific group. 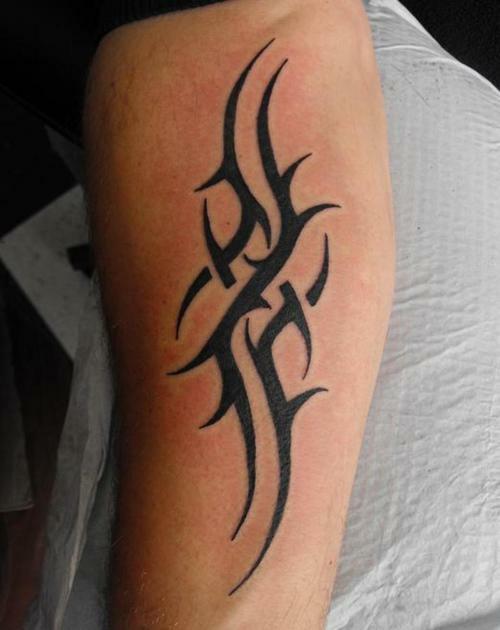 Whereas in the olden days, tribes used them to distinguish family members and identify themselves, these days, gangs, fraternities, and military groups also use tattoos to differentiate themselves. 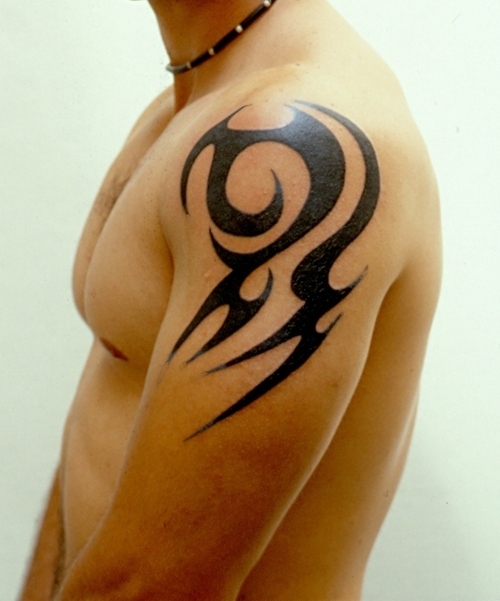 The Tribal tattoo was also often thought to have magical connections – and people were often tattooed in the hope that a love spell or charm would be cast as it was done. Back in ancient times, tattooists would mix special herbal concoctions and add it to their dye, and then tattoo the tribal design onto an out-of-sight part of the body. 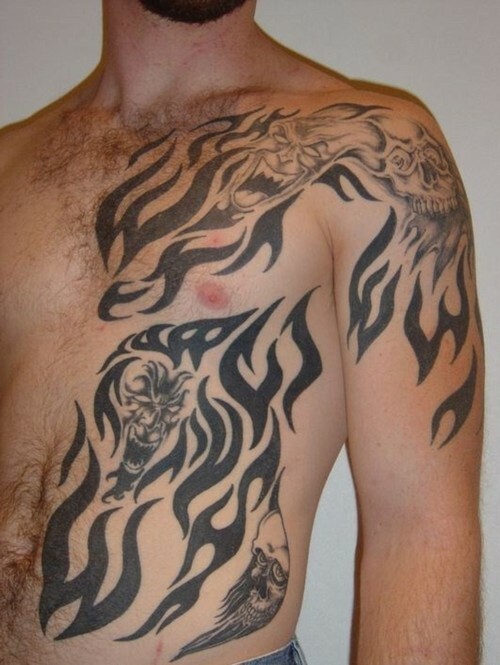 If you think of this in relation to today’s tribal tattoo designs, you can easily see the correlation. 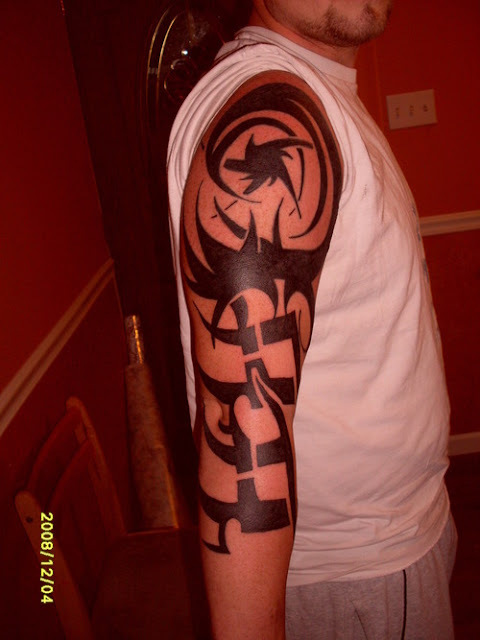 For instance, how many foolish teenagers rush out and get the name of their first love tattooed somewhere on their body? 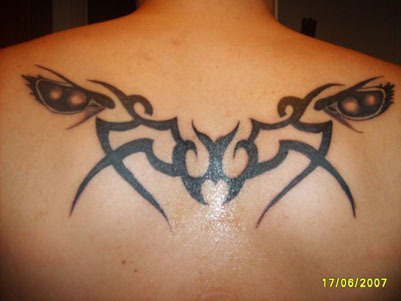 These days though, thanks to laser, it is possible to get them removed but back in the early days it wasn’t – hence the reason for having them tattooed on body parts not on public view. 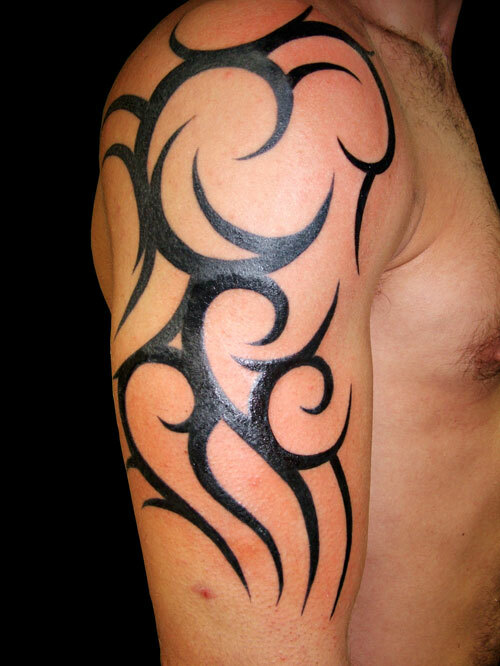 The Tribal tattoo was also often a part of growing up in primitive tribal societies. 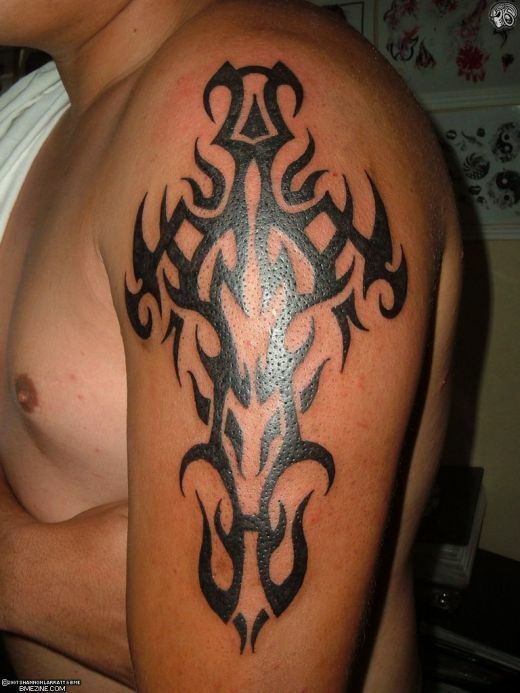 For instance, it was often the case that adolescents had to go through the ritual of having a tribal tattoo in order for them to be accepted into the adult community. Arrangements like this were prevalent, and in the case of adolescent girls, if they didn’t have the ability to withstand the pain of a tattoo it was thought they weren’t suitable for marriage as they wouldn’t be able to endure pains associated with childbirth. 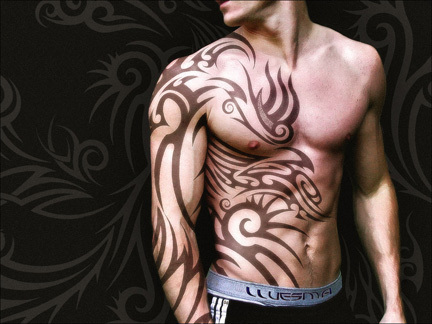 Boys who couldn’t go through the process of having a tribal tattoo were also cast out as they were deemed to be weak and pathetic and wouldn’t be able to fight in a battle. As a result, these boys would be looked down upon and were seen as outcasts. In the present day, although you’re not an outcast if you don’t have a tattoo, it’s fair to say there’s definitely an element of solidarity and an understanding between people with tattoos. What’s more, even though there are no tribal elders inflicting tattoos on adolescents as they become adults, getting a tattoo on your 18th birthday is still very popular and can be a way of celebrating becoming an adult. 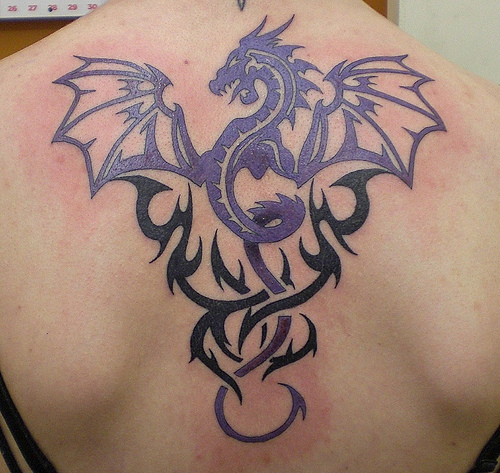 25% of all first-time tattoo owners end up regretting their choice of tattoo design so make sure you have high quality designs to choose from. 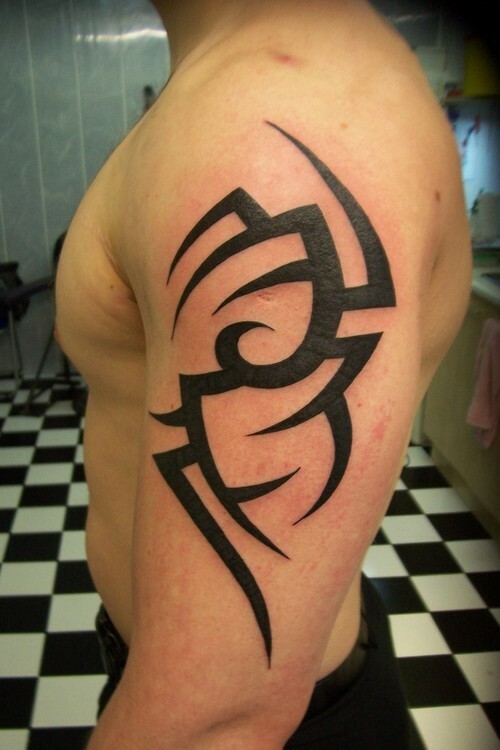 Tribal tattoos have been been practiced in one form or another for millenia. 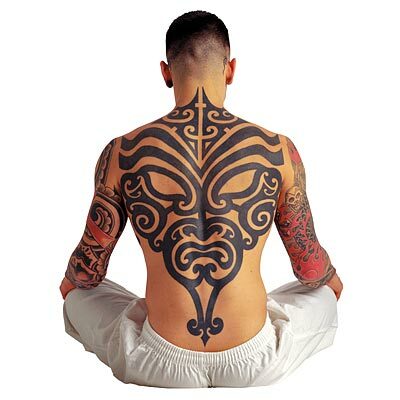 While the practice may be somewhat different nowadays there are still many who get tribal tattoos for reasons which could be described as neo-tribal in their quest to belong to a 'tribe' (either neo-tribal or traditional) even if it is on a subconscious level. 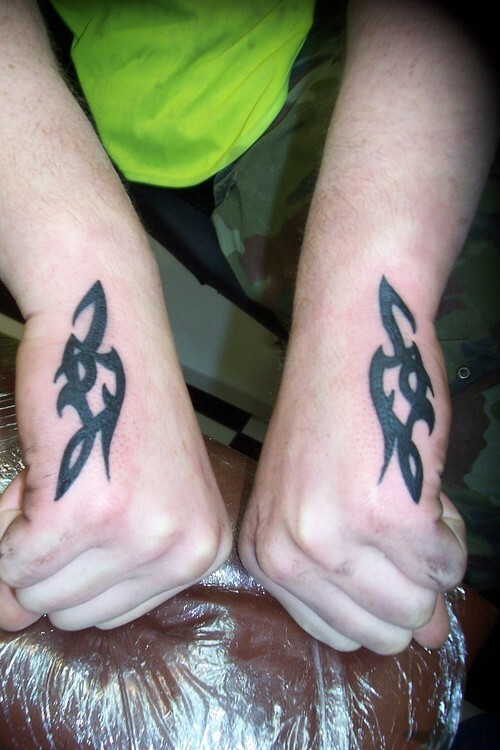 Most simply get tribal tattoos because of their striking appearance. Historically getting tattooed was seen as a rite of passage into adulthood. 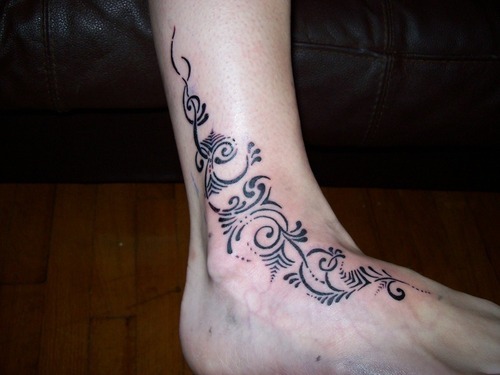 A belief goes that if a girl can't take the pain of tattooing, she is un-marriageable, because she will never be able to deal with the pain of child birth. If a boy can't deal with the pain he is considered to be a bad risk as a warrior, and could become isolated from the tribe. 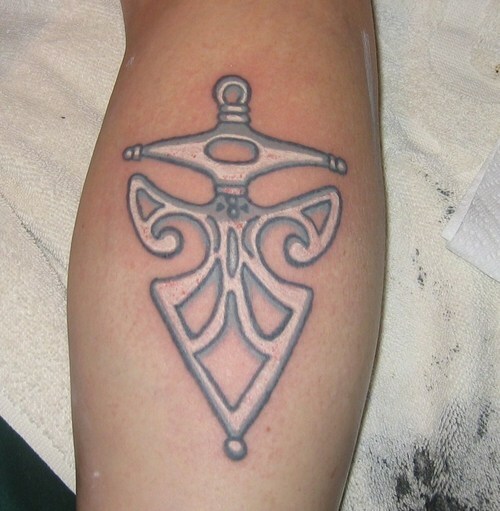 Some primitive tribes use tattooing as a rite of social status. 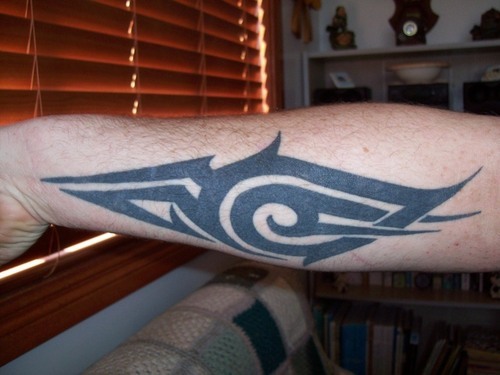 The Maori peoples of New Zealand use tattooing primarily for this purpose. 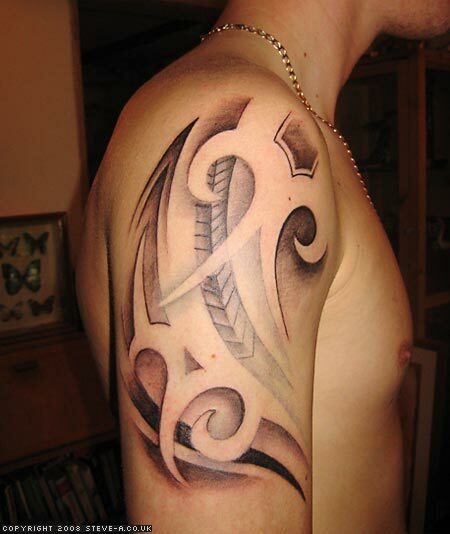 To the Maori, a person's Moko designs enhanced their prestige and show transition from one social status to another. At its highest level, Moko designs proclaimed the sacredness of chieftainship. An offshoot of Maori tattooing for health is tattooing to preserve youth. Maori girls tattooed their lips and chin, for this reason. When an old Ainu lady's eyesight is failing, she can re-tattoo her mouth and hands, for better vision. 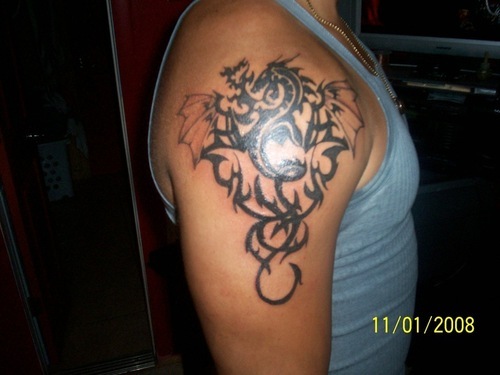 The Hawaiians are prominent among people who have specific tattoo gods. In Hawaii, the images of the tattoo gods are kept in the temples of tattoo priests. Each tattoo session begins with a prayer to the tattoo gods that the operation might not cause death, that the wounds might heal soon, and that the designs might be handsome.